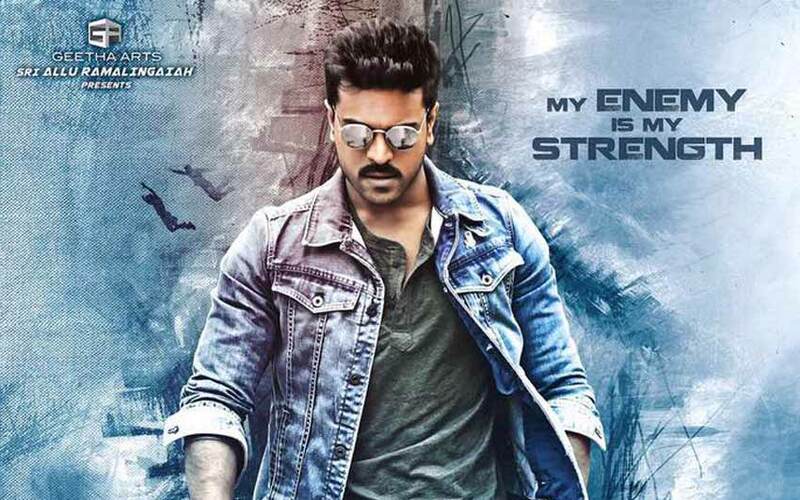 The Upcoming Mega Powerstar Ram Charan Tej‘s Dhruva on the stage of Pre-release business. Dhruva is the Tamil remake of Jayam Ravi’s action film Thani Oruvan. The Ram Charan hands together with the Surrender Reddy in this project. The moviemakers are now on shooting and planned to release it before of this 2016 end. The Dhruva Pre-release and the distribution rights details are one of the present hot topics on Tollywood. The two Dhruva first look has released on independence day of India, August 15, 2016. It is one of the viral posts of the day over the social media. The poster has bagged full positive comments on both Facebook and Twitter. The bank financial for this film has overtaken by Allu Aravind under his banner Geetha Arts. According to the Dhruva Pre-release business, where the two biggest distributors need to get the theatrical rights. Moreover, some places have registered for the solid bag of money over the Telugu states. The movie crew and surroundings expected that the remaining areas also sealed as soon before the shooting ends. The Rakul Preet Singh is playing the role of Nayanthara and the villain is the same of Thani Oruvan. Aravind Samy will appear again as an antagonist on screen from the original of Tamil. Music composer is also the same band of Thani Oruvan, HipHop Tamizha Aadhi. He will prove his talents over the two states of Andra Pradesh and Telangana. Nassar, Posani Krishna Murali, and Navdeep also there on the important cast. PS Vinod handling the Cinematography of Dhruva and Naveen Nooli is the editor of this film. The Expectation is peaked up about the Dhruva Release at all over the world. The movie crew is trying to release this film in the December month. So, let please wait until the Release.